Here in New York it’s usually the executor who was named in that will. Here’s how that usually plays out. After somebody passes away, the nearby family and friends contact the executor. Sometimes, if there had been planning in place, or if the person was ill or older, they’ve talked about it, and maybe even delivered a copy of the will to family and friends. In other instances where it’s more of a surprise or they simply hadn’t talked about it, the surviving family or friends need to do a little bit of digging, going through file cabinets and maybe calling any attorneys listed in the address book, and that will usually turn up a will, if there was one. Once they notify the executor, the executor needs to either hire an attorney and get the process started, or let everyone know that they’re not interested. If the executor is not interested, or has passed away, or is ill, or just can’t do it, then the surviving family can hire an attorney and get the process started with a professional executor or other options instead. Hope you found this helpful. Take care. How are estate debts paid? Click here to see all the questions. *Disclosure: Links to my book are “affiliate links,” and as an Amazon Associate, I earn from qualifying purchases. E70 What is Michael Jackson’s Estate Worth? 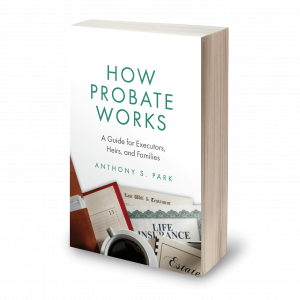 Are Executors of Wills Paid?